i recently got a whole bunch of persimmons in my CSA basket. i have seen this bright orange fruit around, but i had never tried one. so, i did a little research, and found some fun recipes to try using persimmons. they are tasty plain, and amazing on your morning oatmeal! 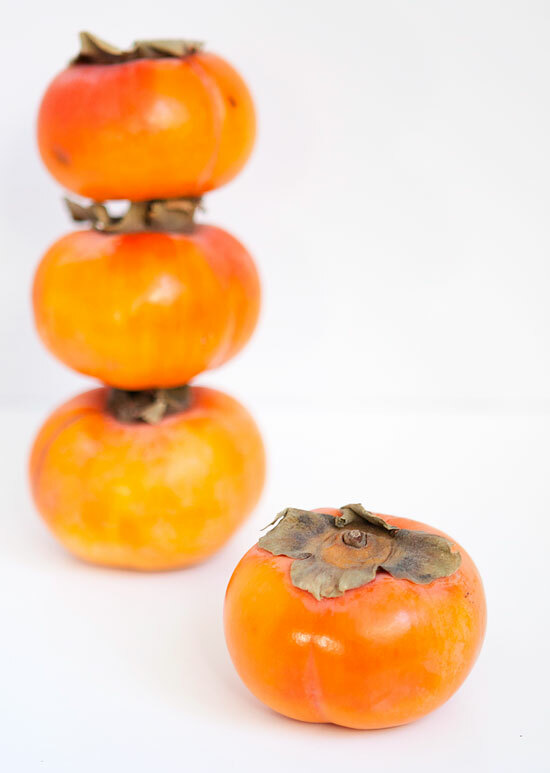 read all about persimmons on my zupas post today. click here. so, what about you? do you like persimmons? or are you like me and never tried them? I dont like persimmons, but my brother loves it! I love them! and almost forgot what they were called in English! so, letting you know that the name is almost similar in Hebrew too! we call them "Apharsemon", which, having the same letter for the sound F and P, is almost the same! We actually used to go persimmon picking when we were kids! I love them! But I never realized that you could cook with them! Can't wait to try one of your recipes! Try cutting them into bite-sized pieces and squeeze a lemon on them. Nothing tastes better!